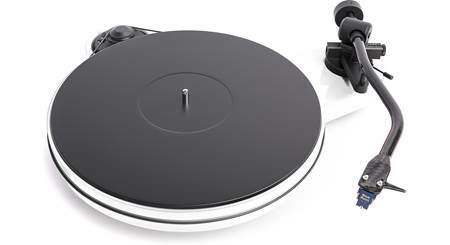 The RPM 1 Carbon's striking looks are just the beginning of this turntable's appeal. 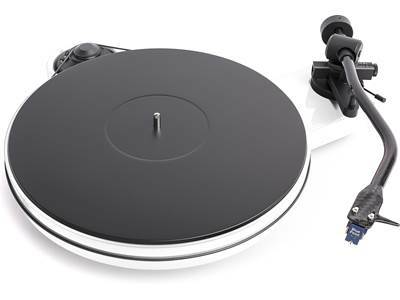 The RPM 1 Carbon's striking looks are just the beginning of this turntable's appeal. 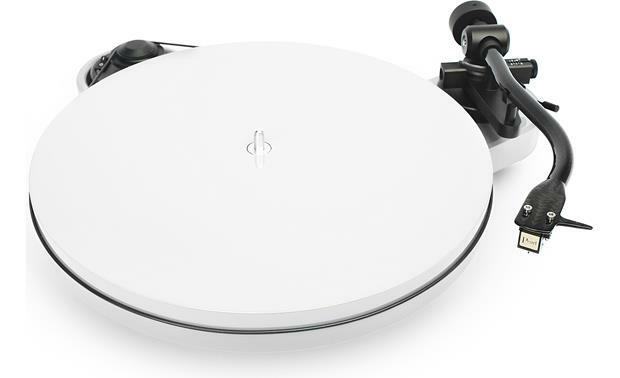 Pro-Ject follows through with a healthy dose of top-notch sound quality. Their minimalist design philosophy focuses on the features that benefit sonic performance — no unnecessary bells and whistles here. With its simple, elegant appearance and handsome high-gloss finish, this table will look and sound fantastic perched on your audio rack. 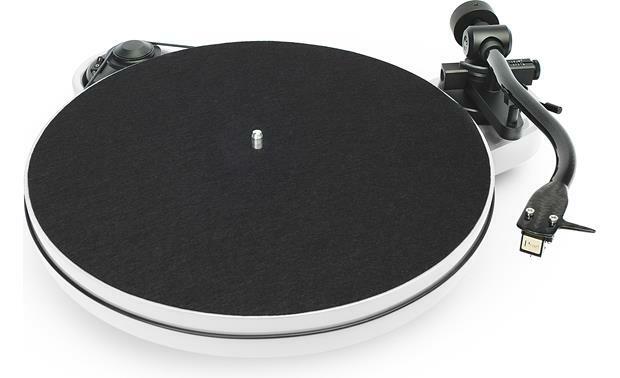 Profile view of the Pro-Ject RPM 1 Carbon in Black Gloss. A look under the platter reveals the RPM 1 Carbon's unusual three-point low-resonance MDF chassis. This triangular-shaped design helps resist vibrations that can smear sonic detail. The RPM 1 Carbon's heavy MDF platter spins on an inverted bearing with a ceramic ball for smooth, silent rotation. The motor is driven by an ultra-precise AC generator with a DC power supply for enhanced speed stability. The isolated motor assembly and belt drive system keep motor vibration away from the chassis, preventing noise from being transferred to the cartridge. The table's S-shaped tonearm is made from carbon fiber, aluminum, and resin for maximum rigidity and internal damping that minimize resonance. An offset, TPE-damped counterweight design lowers the arms center of gravity to improve tracking — a big help with warped records. And the RPM 1 Carbon comes outfitted with an easy-to-use magnetic anti-skating mechanism for faster setup. Can the platter be upgraded to acrylic? the platter on mine is described as MDF med density fiberboard - I guess. Am not sure about acrylic. sorry. Precision Belt-Drive Using Synchronous Motor: The Pro-Ject RPM 1 Carbon features a precision belt-drive system using a quiet running synchronous motor. It supports both 33-1/3 and 45 rpm speeds. 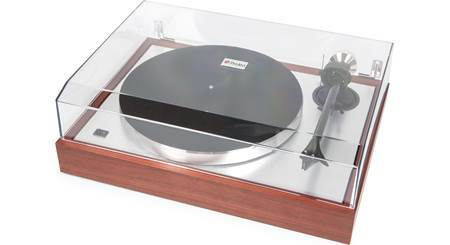 MDF Construction w/ Inverted Bearing Assembly The Pro-Ject RPM 1 Carbon features three-point MDF (medium density fiber) plinth for exceptional stability. 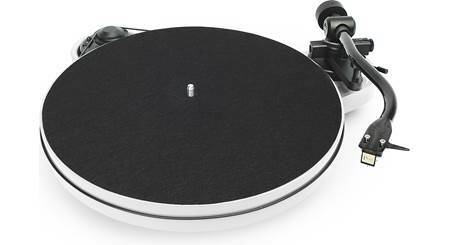 The low resonance chassis holds a newly designed inverted platter bearing with ceramic ball for further reduced rumble. The platter is made from 300mm MDF and features a felt mat. S-Shaped Tonearm w/ Sumiko Pearl MM Cartridge: A completely new designed S-shaped tonearm tube is made from carbon fiber, aluminum and resin. Using a complex 3-step process with heat treatment and 100bar pressure, arm tube rigidity is strengthened, internal damping is maximized and resonances are reduced to a minimum. Fitted to the tonearm is a Sumiko Pearl MM cartridge for exceptional sound quality reproduction. 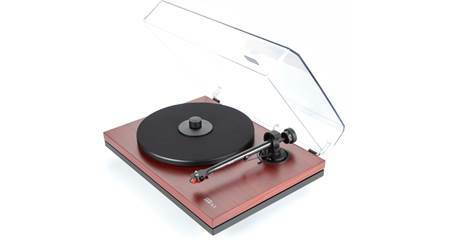 Searches related to the Pro-Ject RPM 1 Carbon Manual belt-drive turntable with pre-mounted cartridge.